1. Maximum of 2 Tickets per Member & per household. 3. Futhermore, the member will be automatically restricted from claiming future gift items and cinema tickets if he or she tries to breach the Pepsiclub rules and faire usage policy. Not valid with other on going promotion. Pop corn & Drinks not included. 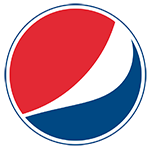 ANY MEMBER OR PEOPLE (INCLUDING THEIR FAMILIES) INVOLVED IN THE SALES, DISTRIBUTION OR RECYCLING OF PEPSI PRODUCTS OF ANY KIND, CANNOT CLAIM THIS OFFER, GIFT ITEM NOR PARTICIPATE IN THE PEPSICLUB PROGRAM. This voucher is subject to the Pepsiclub Fair Usage Policy and Terms and Conditions. Please make sure you fully understand our Fair-Usage Policy and Terms before redeeming any gifts on the Pepsiclub.